The Amazon Great Indian sale is now moved to day 4 and here we have listed down the best deals the platform has on smart devices such as a Fire Tv stick, Echo Dot 3rd Gen and more. 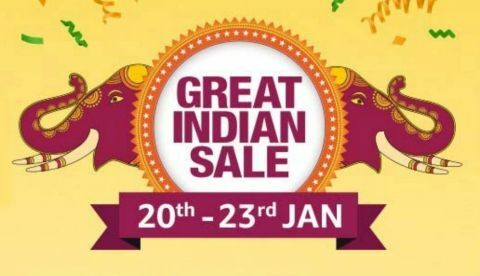 The Amazon Great Indian sale has kicked off on January 20 and scheduled to go on till January 23. The e-commerce website is offering plenty of deals and discounts on a variety of gadgets. Besides that, Amazon has also partnered with HDFC bank and offering up to 10% discount to users on making payment via the bank’s debit or credit card. The offer is valid on EMI transactions as well. So, let’s begin. Amazon’s latest 4K Fire TV stick is now up for sale and available at a discounted price of Rs 4,799. As per the company, the new Fire TV stick is 80% more powerful compared to 1st Gen Fire TV. It comes with all new Fire TV remote that has dedicated volume control and power buttons, which was missing earlier. Check out the deal here. The 1st Gen Fire TV Stick also received a price cut down and is now selling at Rs 2,999. It works exactly like the latest one but it doesn’t play content in 4K and the remote is missing volume and power buttons. Although, it will turn your dumb old TV into a smart one. Check out the deal here. Amazon’s latest Echo Dot 3rd Gen is 80% louder than the 2nd Gen Echo Dot. This smart speaker can be controlled using voice command for playing music, setting alarms, ordering food or even for booking a cab. During the sale, you can grab this device at Rs 2,999. Check out the deal here. Amazon Echo works exactly in the same manner as the Echo Dot. However, the Echo is a complete speaker if you’re looking for a music streaming device that should have good bass and volume. During the sale, you can get this device for Rs 7,999 down from its MRP of Rs 9,999. Check out the deal here. The Amazon Echo Plus is a bit different from the other two speakers that we have mentioned above. It comes with a built-in hub that lets you setup compatible smart devices easily. It is bulky in design and is much louder than Amazon Echo. The smart speaker is powered by Dolby and offers 360 degrees sound. During the sale, it is available at a discounted price of Rs 11,999. Check out the deal here.